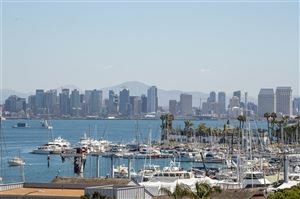 Point Loma is a peninsula that juts into the San Diego Bay and has some of the best views of San Diego skyline and city lights, as well as the North Island Naval Air Station. It is home to the Cabrillo National Monument commemorating the landing of Juan Rodriguez Cabrillo, who sailed his ship the San Salvador in to San Diego Bay in 1542, to become the first European to set foot in California. It also hosts the Point Loma Lighthouse and the Fort Rosecrans National Cemetery. Liberty Station in Point Loma is a waterfront urban village in the redeveloped Naval Training Center that includes hotels, restaurants, breweries, Liberty Public Market, offering stalls filled with prepared foods, beer, wine, pastries and crafts. More than 48 museums, galleries, artist and design studios, dance companies in Liberty Station. Harbor Island a thin strip of land directly south of the airport, Harbor Island packs a lot into its two miles of real estate. Large hotels, marinas and several view-centric restaurants. 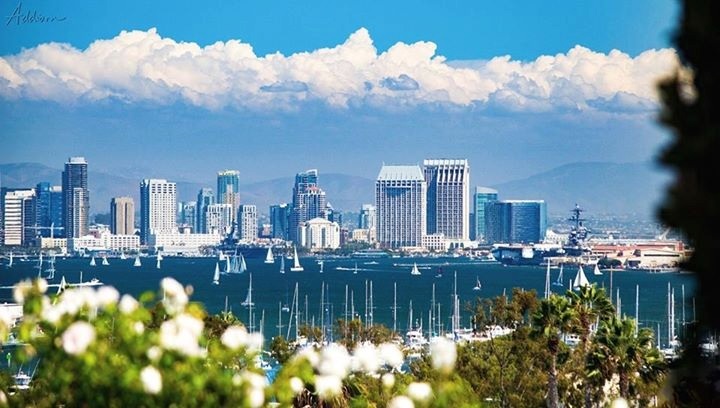 A shoreline path complete with a steady ocean breeze keeps walkers, joggers, skaters and bikers cool while they enjoy panoramic views of the San Diego skyline, Coronado Island and the Big Bay. Several grassy areas provide ample picnic spots. Harbor Island is also an ideal place to enjoy the city lights by night, firework shows on the 4th of July, the annual boat Parade of Lights in December and sailing races, such as the America's Cup, when they are taking place. Shelter Island offers a fully nautical atmosphere with one of San Diego's principal boating centers, where marinas, resort hotels, restaurants and bayside parks welcome sailors and landlubbers with recreational amenities. Many short and long-range sport fishing trips depart from here, with anglers catching a host of Pacific fish like Yellowtail, Albacore, Halibut, Dorado, Calico Bass and a variety of rock fish. Shelter Island is also home to Humphreys Half Moon Inn & Suites, and their summer Concerts By The Bay, which attracts nationally known musicians and comedians. At the end of Shelter Island, you'll find the Yokohama Friendship Bell, a large bronze bell housed in a pagoda structure that was a gift from the city of Yokohama, Japan in 1958. Population for Point Loma is approximately 32,763. Average income is estimated at $94,412. Average price of detached home is approximately $2,500,000.